Today marks a sad anniversary that most of the world has long forgotten. 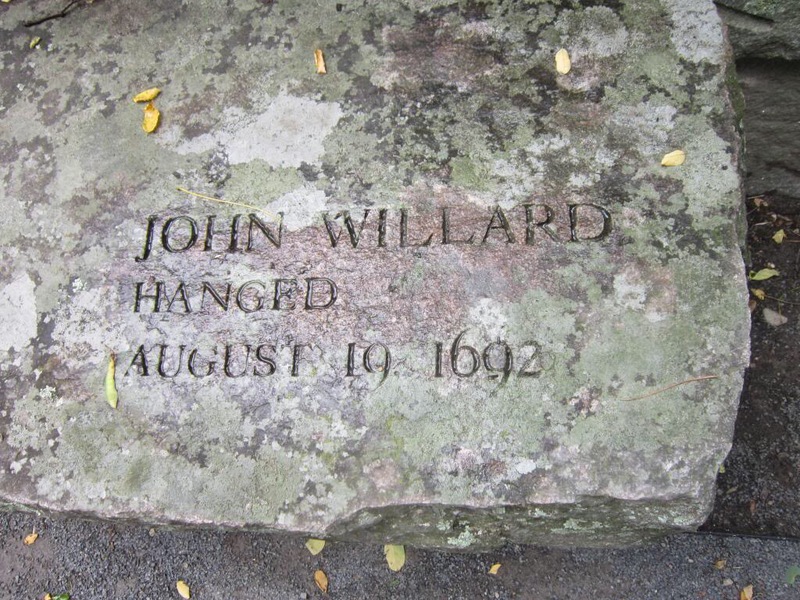 It is the 324th anniversary of one of the Salem Witch Trial victims, John Willard. John was only thirty five at the time of death and you are all probably wondering why I focus on this specific day…I do because John Willard was my sixth Great Uncle. Even in this day and age, as we think ourselves educated; intelligent and thoroughly modern individuals, religious tolerance has become an oxymoron. For individuals or groups that do not fit inside the little box of popular ideals, all nice and neat, there are many more hurdles to overcome…we can read about it or watch it on the daily news. It seems to surround us, despite our protests to the contrary. An epithet that is still being sadly repeated three centuries after the conclusion of the trials. So, today, I thought this would be a great time to grab my Thoth deck and see what Great Uncle John had to say about the lessons we need to always keep in our minds and hearts. Now, keep in mind that when I asked my question, I was addressing my Spirit Guide that assists me while working with my cards…. 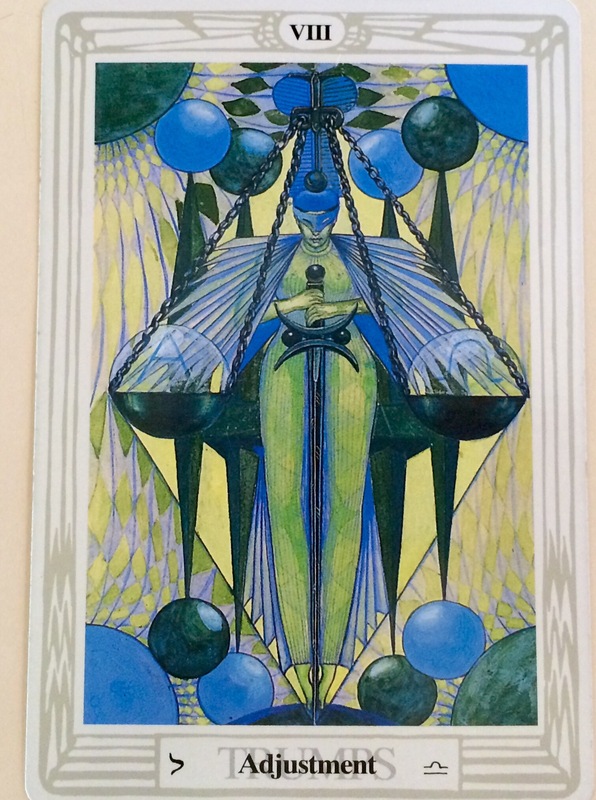 You may notice right away that the second and fourth cards seem to pop out at you….the Knight of Disks and the Hanged Man… This was letting me know that my Spirit Guide had stepped aside and Great Uncle John was delivering his message personally! The Knight of Disks is an Earth element as many readers will know, but a little known fact about my Great Uncle was that his birthday fell on January 15,1657 …making him an Earth sign. In history, Knights often went out on missions to bring order and secure boundaries for the local King or rulers, no different than a Knight, Great Uncle John was a Constable for his township and took his task seriously. Not soon after the hysteria began, John Willard had gone to his superiors and protested the ever widening net of accusations and spoke for those that were being falsely accused. He stepped down as Constable saying that he was in no way, shape or form supporting or being party to the madness. The Hierophant (Rev. Samuel Parris, Uncle to Abagail Williams,one of the original accusers) the Five of Wands (the hysteria) and the Chariot (the speed of wild accusations and the voracity of fear and ignorance unchecked) all tell the rest of John’s story…. Towards the end of April, after Willard had abandoned his post as a constable and publicly doubted the girls accusations, he was himself, accused of being a witch. Great Uncle John, (the epitome of Knighthood) continued to, from behind bars and even as he walked to the gallows that day, protest that he and all of the others accused, were indeed innocent and continued to plea for the return of sanity and order. What is his message to those who have ears? Intolerance founded on fear based dogmatic beliefs and willful ignorance will continue to race on….setting a raging fire to all in it’s path, leaving nothing but ash unless we, as the whole of humanity, step up to stop it.